By Melissa Lennig on February 27, 2018 1 Comment. This content contains affiliate links. As an Amazon Associate I earn from qualifying purchases. 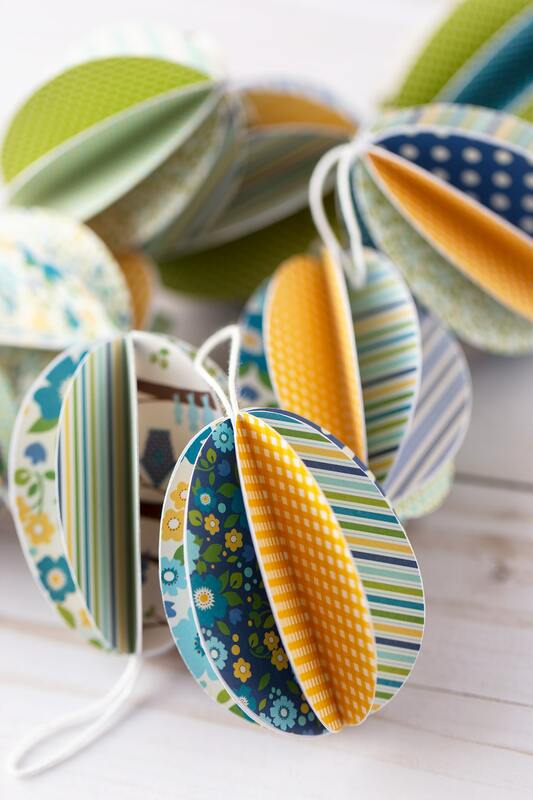 These beautiful DIY Easter Egg Ornaments are the perfect decoration for Easter! 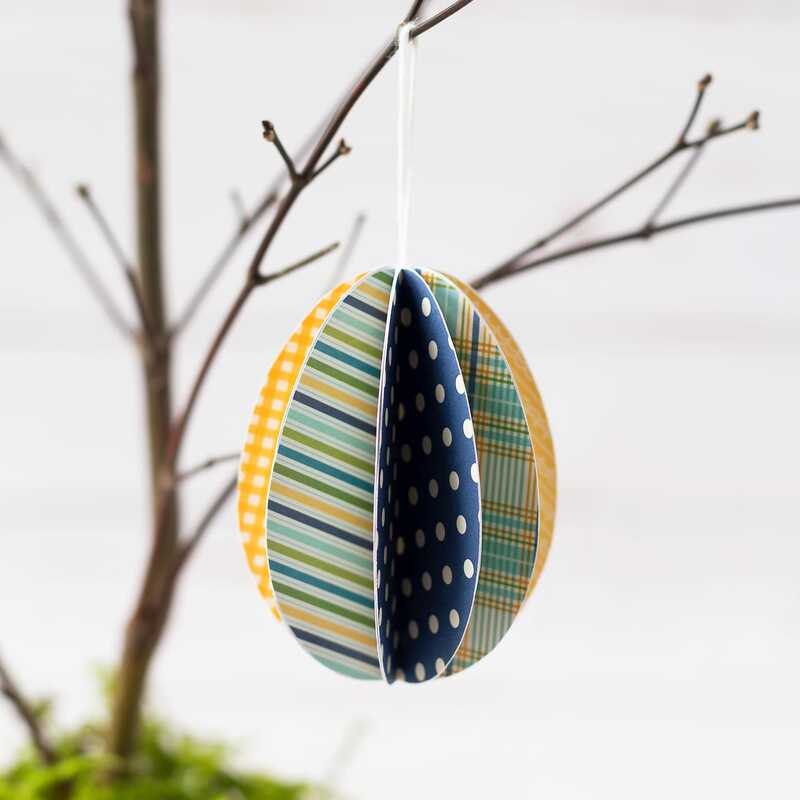 Whether kids are learning about Easter, eggs, or simply enjoying a spring activity at home, this easy Easter craft is fun to make and hang on Easter egg trees. 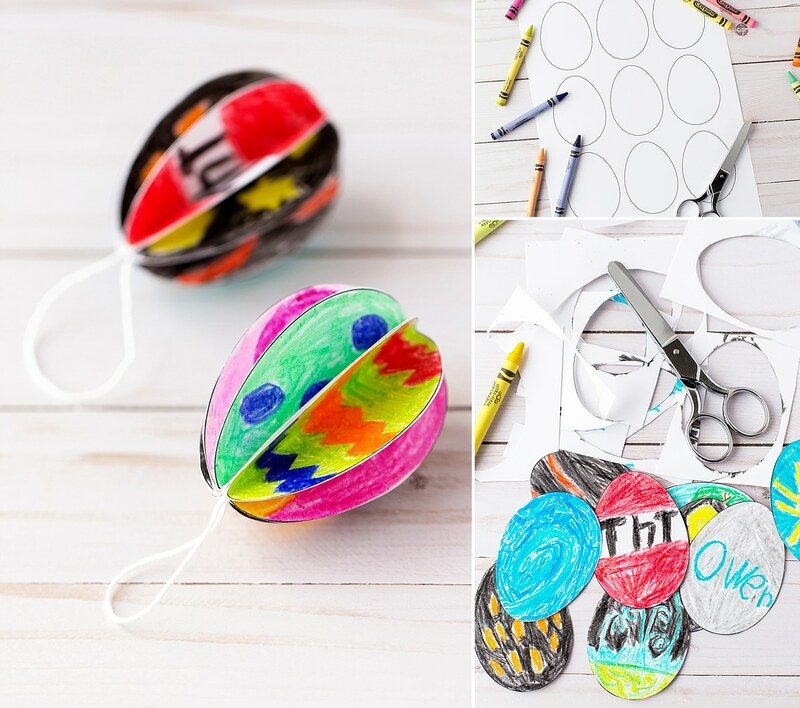 My kids enjoyed drawing colorful designs on the printable Easter egg template with crayons. 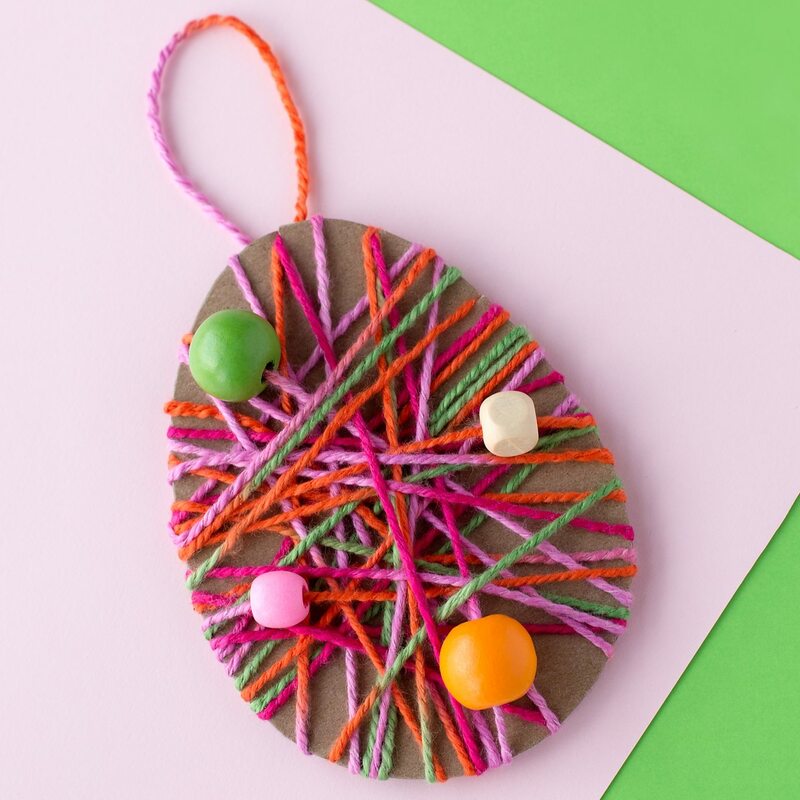 If you plan on making this craft with a large group of kids, each child will need their own egg template. After making the eggs, wouldn’t it be fun to display them on a classroom egg tree? We made our Easter egg tree with a branch, pot, floral foam, and moss. While my kids were decorating their eggs, I chose to trace the egg pattern onto vibrant scrapbook paper. Directions for that technique are shared below! 1. Print the template on white cardstock. 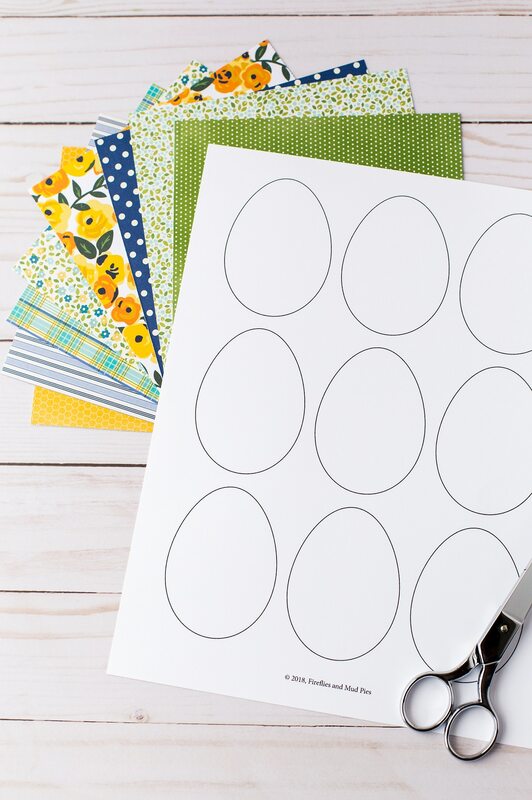 Cut out one egg, then trace it on to nine coordinating pieces of scrapbook paper. 2. 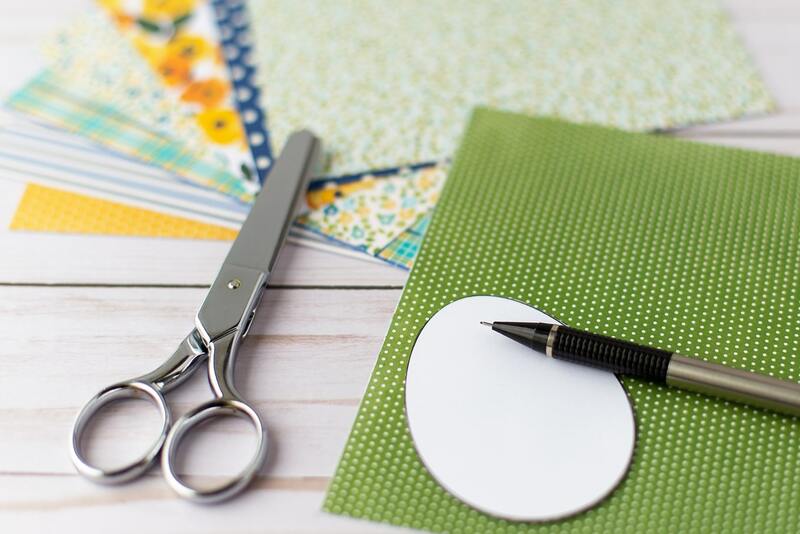 Cut out each egg with scissors, then fold them down the vertical center with the back of the paper facing out. 3. 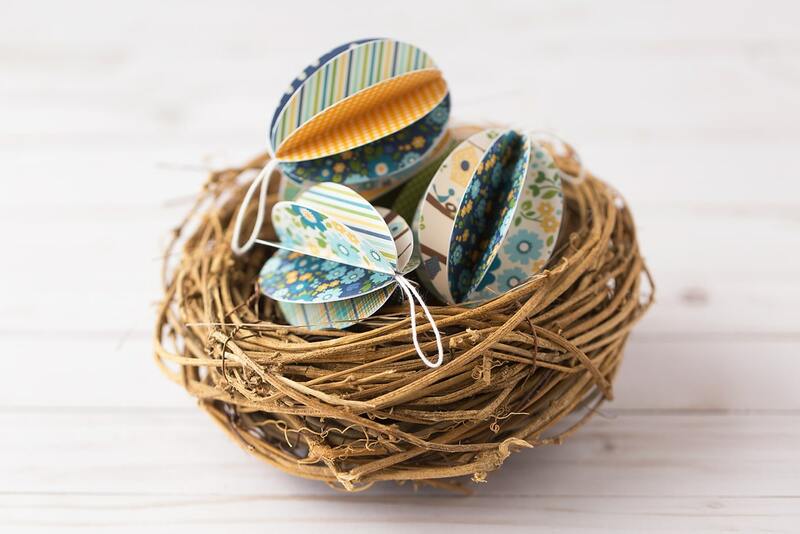 Tape or glue the back of 2 eggs together to create a 3D effect. We used double-sided tape because it was quick and easy! 4. Continue, securing all the eggs together. 5. 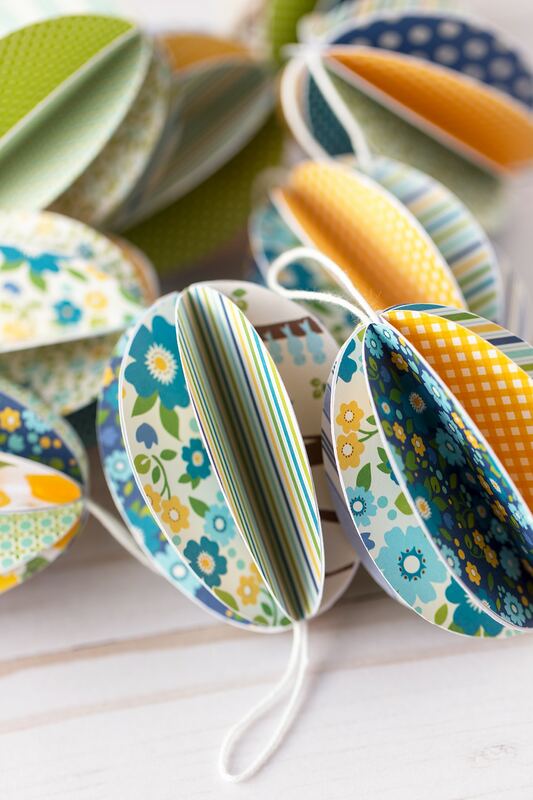 When all the eggs are attached, squeeze a dot of glue (or press a piece of double-sided tape) in the center of the folds. 6. 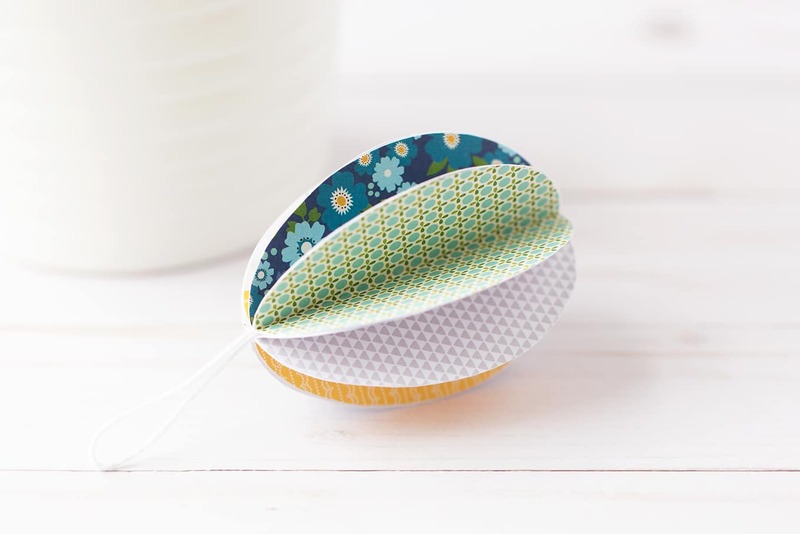 Stick a loop of string on the glue, then close the egg completely with tape or glue. If needed, allow the glue to dry before hanging the eggs on an Easter egg tree. The eggs shared below were made by my kids! 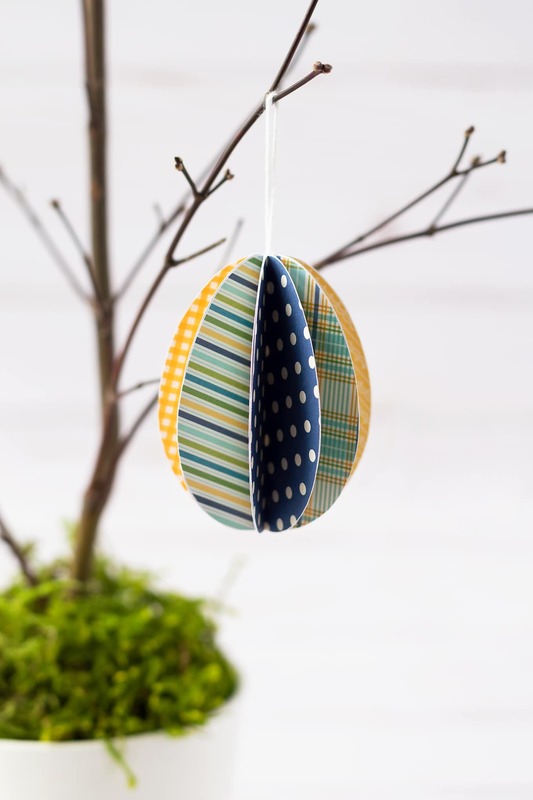 They were a fun and colorful addition to our Easter egg tree! 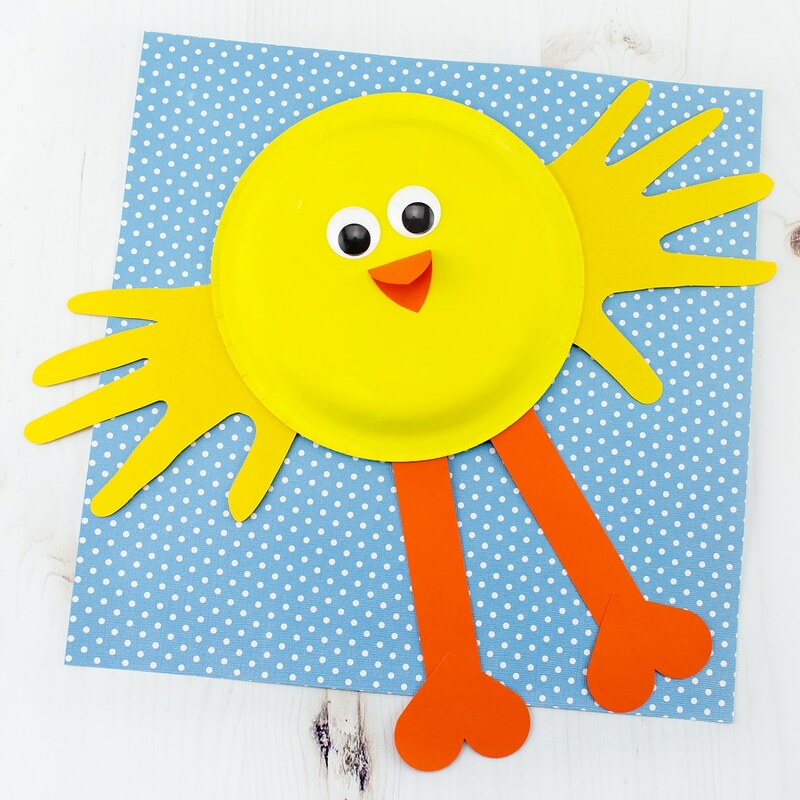 Click the images below to view more creative Easter crafts for kids!